The Intelligent Transportation Society of California recently held its 24th Annual Conference and Exhibition in Anaheim. 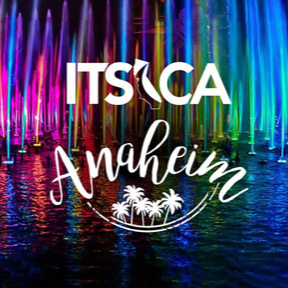 At the event, organizations from around the world gathered to connect with the ITS community, discuss current trends in the industry and share ideas. As a part of the conference, John Thai organized a vehicle-to-infrastructure (V2I) demo that was designed to showcase the latest in connected vehicle (CV) technology. Thai’s specific goal with the showcase was to demonstrate how different technologies, from different vendors, could work together to form a single V2I network. Although the connected vehicle standard has been in development for almost 20 years, interoperability and compatibility continue to be a concern. After learning of the upcoming showcase, the Vice President of Applied Information’s western operations, Alan Clelland, contacted Thai and asked if he’d be interested in seeing how the cellular-based TravelSafely™ connected vehicle system compared to the DSRC components. ITS California agreed to include the technology from Applied Information and compare them side by side in the demonstration. After getting the green light, Clelland and Walt Townsend, Vice President of Applications Engineering at Applied Information, equipped six different intersections with connected infrastructure technology in a single day. Applied Information’s TravelSafely system is delivered via a smartphone app, so there was no in-vehicle unit to install. After some fine-tuning to the hardware, the system was set and ready for the attendees. The demonstrations proved popular as both sessions were fully booked ahead of the show. The day of the showcase, over 70 attendees joined together on a bus equipped with a DSRC receiver. The bus traveled the roads on Anaheim and showed how real-world V2I technology works. During the drive, the onboard unit installed inside the bus was able to communicate with roadside units from three different vendors and seamlessly connect to the in-vehicle unit. The TravelSafely system, using cellular signals, was demonstrated at the same time, so engineers were able to compare DSRC and app-based systems head to head. Connected infrastructure elements such as school beacons, work zones, red light warnings and the popular Get Ready for Green™ feature were all shown in action with TravelSafely. Both systems worked successfully, and attendees were able to get a brief glimpse of the future of V2I technology. A number of traffic engineers were surprised at the performance of the cellular technology and its ability to communicate with little to no lag time. It’s commonly assumed that DSRC communication provides a faster data channel to the vehicle than cellular. The TravelSafely system proved that cellular could be just as effective for V2I, even providing red-violation warnings to the driver. Attendees were clearly impressed that the entire in-vehicle experience was delivered by a smartphone app. TravelSafely’s ability to provide verbal warnings without requiring the motorist to look at a screen was a highlight of the demo. Even skeptical attendees were impressed. Demand for additional tours outgrew the conference schedule, so AI scheduled additional car-based test drives to demonstrate the TravelSafely app. The effort proved that connected infrastructure technology has moved into a new era of accessibility. As we continually improve CV functionality by leveraging advancements in communication, it will make transportation safer for both drivers and pedestrians, and ultimately save lives.